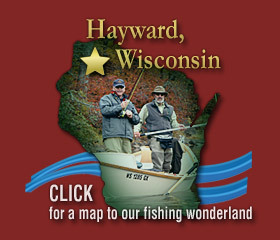 The Hayward, WI Area in Northwest Wisconsin has long been a well known vacation destination for world class fishing and events. Hayward Fly Fishing Company is excited to have our fly fishing shop and services in the middle of it all! 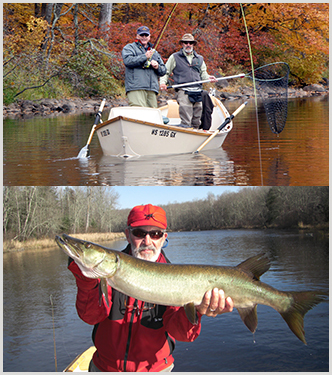 The Hayward, WI Area offers a diversity of fishing opportunities and really is a unique fly fishing destination. As you may expect from one of the premier vacation spots in the Midwest, you will find a variety of quality lodging, dining, entertainment, and shopping possibilities to round out your visit with the Hayward Fly Fishing Company. 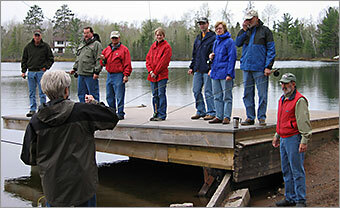 Learn new skills and have fun with Fly Fishing Classes & Instruction from HFFC! Visit again soon as we add some of YOUR fishin’ stories! Thank you for visiting our new website.